With the blessing of the Anchorage Parks and Recreation Commission last week, an expanded loop of Hillside singletrack trails should be built this summer as mountain biking opportunities continue to blossom across Southcentral. Some 6 to 8 miles of new Hillside trails are planned, mostly within or near the popular Spencer Loop trail. The estimated cost of up to $160,000 will be borne by Singletrack Advocates, an Anchorage-based mountain biking organization that plans to raise the funds. An administrative site review by the Anchorage Planning Department needs to take place before any dirt is turned. If all goes well and the weather cooperates, trail construction should start by July and be finished in the fall. But Hillside isn't the only place with new singletrack trails either finished or planned. *In Chugiak, 3 miles of new trail connecting to about 4 miles of existing skijoring trails between Mirror and Edmonds Lake were finished late last fall and await drier conditions and final paperwork from the municipality before opening. 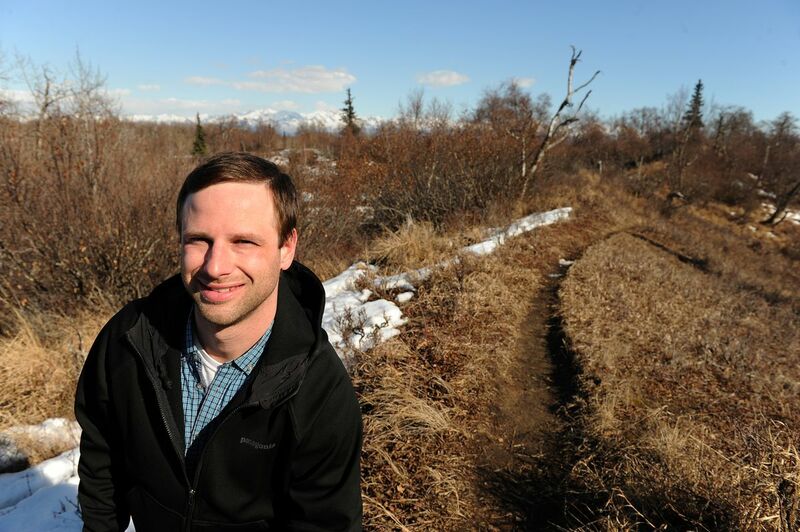 Chris Wilson of Chugach Mountain Bike Riders, the organization behind the trail, expects to announce a grand opening soon when cyclists can begin exploring the new trail's flow over rock outcroppings and bedrock. He said there are some nice sightlines to the lakes, particularly before the trees bud out. "I'm really happy with the way it turned out," Wilson said. *In Girdwood, the Girdwood Mountain Bike Alliance, which formed last year, presented its trail plan to the town's land-use committee earlier this month. Envisioned is a trail in the lower Winner Creek drainage surrounding much of an existing 5-kilometer nordic ski loop. The alliance aims to include a segment of flowing downhill that features banked turns, rolling terrain and jumps, allowing riders to develop a nice rhythm on downhill sections. The Hillside trails are Singletrack Advocates' second foray onto the area. Nine years ago, the organization built 8 miles of Hillside trails, part of a steadily expanding Anchorage singletrack system that now includes nearly 50 miles within the municipality. When the latest trail is finished, Singletrack Advocates will be responsible for about 60 percent of those miles. The new Hillside trails are expected to offer more-challenging terrain for Alaska cyclists. "It expands the trails already there provides a more diverse trail network," Singletrack Advocates President Lee Bolling said at the Parks and Recreation board meeting Thursday. "It allows the riding community to progress as riders." That community was out in force for the meeting, with about 70 attending a monthly commission meeting that typically draws fewer than 10. Two distinct types of trail will be built, Bolling said. *Intermediate trails with good "flow" that use banked berms effectively. *More technically challenging trails with jumps and barriers such as roots, logs, rocky drops, tricky tight bends. Only one person who testified at the meeting expressed reservations, arguing that additional trails weren't needed, that wildlife corridors would be fractured and public safety would be jeopardized on trails near Campbell Creek, whose spawning salmon attract brown bears. But the board voted unanimously to approve trail construction — and preferred having Singletrack Advocates do the building. "You guys can do this a lot more efficiently than the government can," said Commission Chairman Jonathan Dyson. "And you invest your time and money — so you have a lot at stake." Even though there isn't any hard data, Bolling believes mountain biking is flourishing in Southcentral. "One thing that's increasing interest, I think, is that mountain bikes and snow bikes are so much more fun to ride compared to 10 years ago," Bolling said. "Trails with that flowy roller coaster feel, it's like having your own personal roller coaster. A lot of bikes have become cheaper and cheaper, too."